Since January I am studying a course in Game design at Luleå technical university. In the second part, which has started now, I am supposed to develop a game concept. I will use an old idea, since 2004 I think, that I then thought of as a card game. But now I am going to see if it can be made into a computer game. I even aim to make it useable on smartphones. My idea and all work on the game that I present in this blog will be under a Creative Commons – Attribution – Non Commercial licence. That means that you are allowed to fork it and continue developing it, but that you cannot make it for-profit and you have to attribute me properly. So here goes, this will be a game design diary that will complement the rest of my assignments at the course (and that is why I blog in English now). I will blog about it both to motivate myself, but also to open up to feedback, or perhaps even find someone that will halp me make this game come true. Idea: the player has characters with different levels in different skills (Breaking, Locking, Popping) and are supposed to out dance the other player. This is done by (at maximum one time each turn) calling to a circle. The player chooses one of his character and dance style and the opponent chooses one of his characters. Some modifications may be played (like favourite song, good mood and stuff like that) that will increase or decrease the characters abilities. In special cases styles and characters may be switched. At the end of the circle the current characters compare their levels in the current style with all modification. The winner gets points (called reputation) based on the diff. To win the game you need to get to a certain amount of reputation. There will be different objects or entities in the game, characters, equipment, moves and specials. 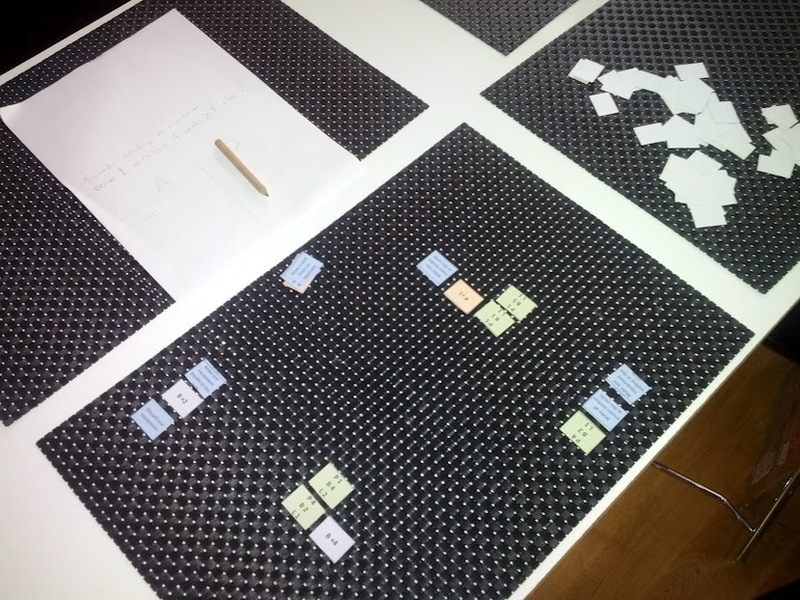 Today I made a paper prototype of my game concept. I created a spreadsheet where I draw up some characters, moves and equipment, by only using their values. Then I created some basic (and universal) special cards. This I did just to see if my reasoning of the points system works. And it seems to do that. The next step will be to storify the values, and perhaps by associating to the real world activities I can come up with new entities to use.